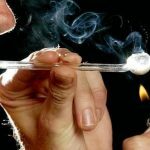 Since the discovery of psychoactive substances, the current world has continued to experience the menace of drug addiction. So many people constantly want to be under the influence of something as they deal with the challenges of life, which sadly, never end but actually progress. 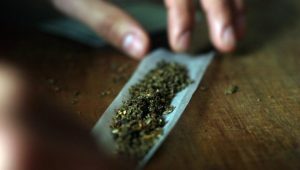 There are various psychoactive substances that drug addicts go after on a daily basis; the most consumed include marijuana, heroin, alcohol and cocaine. Among these four drugs, marijuana takes the first position, as the most abused substance across the world. Additionally, most of its consumers like to consume it in combination with alcohol and other drugs, so as to increase the intensity of the high. Most people refer to marijuana as cannabis since it comes from the seeds, stem and leaves of the cannabis indica or cannabis sativa plant. It is a psychoactive drug that many people like abuse around the world as it seems easily accessible. There are about 483 known compounds in this plant, whereby 65 are cannabinoids. Among these compounds is tetrahydrocannabinol (THC), which is the active psychoactive part that alters the mind of the consumer. Marijuana is illegal in the majority of the nations around the world, but that does not stop cartels from extracting it and smuggling it where it is needed. In America, most states consider it illegal. 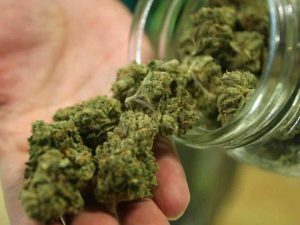 However, others are finding reason to legalize it for both recreational and medical use, which unfortunately increases the chances of having more marijuana addicts. The majority of its consumers are young people ranging from teenagers to 25 year old adults. Before the legalization of marijuana in any United State, its consumption among school students, both middle and high had increased for a while but later leveled off or dropped. Unfortunately, there are still a very huge number of young people who do not believe that using marijuana is risky. Therefore, with the continuation of marijuana legalization, these numbers are bound to rise, as well as the number of its users. From a survey conducted in the United States of America in 2016, about 23 million Americans consumed the substance in the month of June alone. Marijuana consumers take it in different forms. They can smoke it, consume it in food, vaporize or use it as an extract. The smokers smoke it by hand-rolling the marijuana into cigarettes. Others smoke it by putting it in water pipes known as bongs. Another alternative is smoking in blunts, which are partially emptied cigars that are added marijuana. In consumption through vaporizing, consumers use vaporizers as they avoid inhaling the smoke. The vaporizers separate the active ingredients like THC and the substance and use a storage unit to collect their vapor. The users that like consuming marijuana through food usually make several edibles such as candy, brownies, cookies and tea. Since the substance is illegal the sellers and consumers use multiple slang names so that they can evade authorities. Some of these names include pot, weed, Mary Jane, grass and bud. 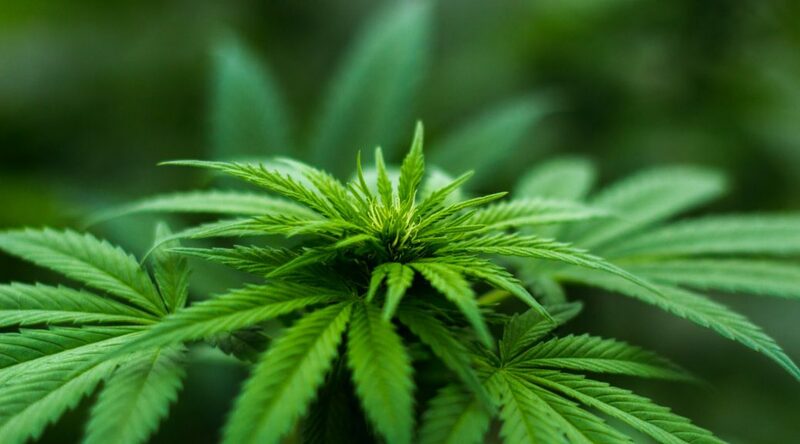 While using it for medical purposes, which involve improving symptoms and treating diseases, the medical community refers to the drug as medical marijuana or medical cannabis. Unfortunately due to its illegal nature, the scientific study of the substance as a medicine faces challenges such as production restrictions, as well as other federal regulations. Therefore, the available evidence that marijuana has medicinal value is quite limited. This evidence suggests that cannabis is helpful to cancer patients as they undergo chemotherapy by reducing nausea and vomiting. It is also said to treat muscle spasms and chronic pain, while also improving the appetite of persons that have HIV/AIDS virus. Despite being helpful to these people, the occurrence of both major and minor adverse effects is still a problem. Therefore, when used for short-term use by patients, they experience dizziness and tiredness. In case its usage becomes long-term, they may not escape issues like cognition and memory problems. Most of cannabis consumers use it to experience the physiological and psychoactive effects of the drug. These desired effects include euphoria, which is the high feeling and relaxation. They also experience increased libido and awareness of sensation, alteration of the conscious perception and distortions in the space and time perceptions. When consumed at very high doses, consumers experience derealization and depersonalization, as well as altered body image, visual and auditory illusions and ataxia due to the impairment of polysynaptic reflexes. Several religions consider marijuana as a sacred substance, thus use it in the spiritual, religious and shamanic context. For example, it seems relevant to Nepal and India, whereby communities have used it since the Vedic period that dates back to about 1500 to 2000BCE. Additionally, the Greek mythology talks of a powerful substance that people used to eliminate sorrow and anguish. In the modern culture, the Rastafari movement disciples are known to use marijuana for spiritual purposes, to aid in mediation and for consumption as a sacrament. In recent times, there has been growing support for use of marijuana for medical purposes, which explains its legalization in multiple states. Additionally, its use as a recreational drug continues to spread among young kids and adults by the day. This growth in the consumption of marijuana is attributed to the fact that the public hardly accepts that it is a dangerous and addictive drug. Despite that some states in America believe in its medicinal value, the Food and Drug Administration still refuses to approve this use, due to the dangers that the drug presents. As you begin consuming marijuana in whichever way, you will tend to enjoy the euphoric and relaxation effects that it causes. Soon enough, you will want to consume it on a regular basis, especially if you are dealing with issues that you are unable to deal with. The continuous consumption of marijuana will eventually become a habit. As time goes on your body will adapt and so the same amounts of marijuana consumed will not give you the same intensity of effects that you desire. This means that your body is building a tolerance. An increase in this tolerance will lead you into consuming more marijuana on a more regular basis. This trend will eventually lead you into dependence and later addiction that you can hardly control or stop on your own. According to multiple studies, the addiction caused by marijuana is similar to that caused by alcohol. Not all people that use the drug recreationally get addicted since only about 10 % get hooked in its claws. For those that stop using after some time, 17% of them experience the withdrawal symptoms. The majority of the marijuana addicts hardly acknowledge their addiction until when things get completely out of control. This is unfortunate since the addiction could go on for a very long period, thus making it harder to stop. What’s worse is if the addicts mix marijuana with other psychoactive and addictive substances such as cocaine. Therefore, if you happen to have they following signs, it is best that you quit or ask for professional help to stop the addiction, before things get to the worst situations. As mentioned above, the continuous consumption of marijuana will cause your body to build a tolerance. For you to notice this tolerance, you will note that you are continuously increasing the amounts of marijuana that you take just to acquire the same euphoric effects. Additionally, if you notice that you often feel some withdrawal symptoms when you do not consume marijuana, know that you are quite dependent on it. These symptoms are such as anxiety, insomnia, loss of appetite and irritability. Most of the times you will plan to consume a certain amount of the drug and call it a day. However, you may end up even consuming double of that amount since it seems to control you. If this happens often, accept that addiction has already crept in. Acknowledging that you are dependent on marijuana and taking measures to stop consuming it is movement in the right direction. However, what happens if you are unable to stop consuming it or relapse after some time? It is a clear indication that you have an addiction that requires professional help to get rid of. If you are often high, there is a very high possibility that you will neglect your daily responsibilities, which may be related to school, yourself and work. Neglecting is not the only problem here; continuous failure is also another issue since you lack concentration while under the influence of marijuana. In the occurrence of a trend in this issue, you should note that you are addicted to marijuana. Getting high once in a week is one thing; however getting high every day and all day indicates a problem. 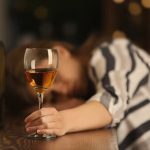 Most healthy people spend most of their time sober and focus on personal growth. So if you do spend the majority of your time under the euphoric effects of marijuana, you are definitely addicted to it. The more you consume marijuana, the more you have less time for recreational or physical activities. 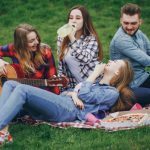 If this continues to the point of having extremely reduced time for these activities since you are often high, you need to realize the presence of an addiction. The effects that marijuana has on the brain depend on the mode of its consumption. If you smoke the drug, THC, the psychoactive substance in the drug directly goes into your blood stream through your lungs, causing you to feel high within seconds. Due to the usual blood circulation, the chemical travels to the brain and further goes into other body organs. On the other hand, if you absorb the drug through drinks or food, the absorption of THC will be slower causing you to feel the high feeling after about 30 minutes. The brain contains cell receptors that are meant to react with naturally occurring THC-like chemicals. So as soon as the THC from marijuana gets into the brain, it acts on these receptors. Since these natural chemicals that link with the brain cell receptors play a significant role in the brain functionality and development, the THC alters this process. Consequently, the brain becomes overactive, causing the high feeling that people often run after. The above occurrence in the brain results in certain short term effects. You are likely to experience an alteration in your senses, whereby you may see brighter colors. Additionally, you may lose sense of time since your brain functionality is not in the normal state. You may further experience paranoia impaired body movement, changes in your mood, impaired memory and challenges in thinking as well as solving problems. As your dependence develops, you are prone to consume high doses of marijuana, which will cause delusions, hallucination and psychosis. Other short term effects on your other body organs include an increased heartbeat, dry mouth, coughing and red eyes. The continued increase in consumption of marijuana puts you at risks of bigger consequences. For example, it affects your brain development and thus could result in several mental effects. You may experience reduced levels of IQ alongside impaired thinking and memory, as well as learning functions. As you fall into marijuana addiction, you may develop a mental illness or suffer from issues like anxiety and depression. Your heart becomes prone to serious issues like cardiovascular vulnerabilities and heart attack. Due to the frequent inhaling, your lungs could suffer from lung cancer, pneumonia and cold, among other lung diseases. As soon as you become addicted to marijuana, it is unlikely that your life will be the same. You are bound to lack motivation to work, attend school or even care for yourself. This explains why will often not feel the need to conduct previously enjoyable activities. This lack of motivation will further affect your social life, since you will lack time to meet with those friends that influence you positively. Additionally, your relationships will be in jeopardy, especially if your addiction leads you into violent behaviors or crime as you search for resources to acquire more drugs. As you suffer from mental and physical impairment you will experience lower life satisfaction alongside the reduced cognitive abilities. Consequently, your success in school and work will lessen, leading you to dropping out of school or getting fired. 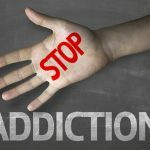 As soon as you begin to notice the addiction signs above, it is advisable that you seek medical treatment and not wait for the above effects to take place. However, if you do suffer from the above symptoms, all is not lost. You still have a chance to turn your life around, get medication and if you are lucky, you may fully recover eventually. 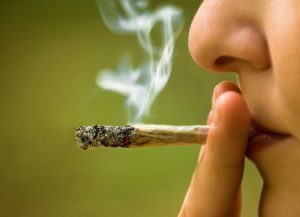 Therefore, acquiring treatment and recovering from marijuana addiction is the best next step that you could ever make. It is quite a rough journey since it starts with withdrawals symptoms that will cause you pain and trick you into quitting. In the recovery period, things get trickier since you must avoid relapsing by doing the right things. 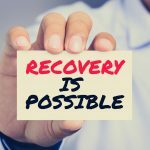 There are various treatment options to choose from, which can be successful especially if you put enough effort and stay determined to recover. If you have a serious addiction to marijuana, it is advisable to get medical assistance in an inpatient facility. This is a place where you will be admitted and put under constant surveillance. This approach is also helpful if you also suffer from mental illnesses or have other addictions as well. Despite that this method of rehab is helpful, it might be of no use if you cannot afford the payments. Yes you can borrow from loved ones and also use insurance if it available. However, if these options are not at your disposal things might get tougher for you. As you enter into the inpatient facility, you will undergo an evaluation to understand your addiction. Therefore, you will find psychologists, therapists, nurses and doctors, who will conduct blood screens and mental examinations. As soon as they know the treatment you need, they will admit you into the facility. 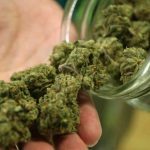 Treatment for marijuana addiction begins with the detoxification process, whereby, you stop the consumption of the drug to get it out of your body. This process is quite challenging because you have to face your addiction by denying your body the need to consume it. Withdrawal symptoms– As soon as you stop marijuana usage, you are bound to suffer from withdrawal symptoms such as anxiety and agitation. Your moods will change rapidly and have increased cravings to consume the drug. You will also experience increased irritability but reduced appetite. As you have restlessness, sleeping will turn to be difficult and therefore, you will tend to have physical discomfort. These symptoms begin within a day after you have stopped consuming the drug, and proceed to peak in the next 2 to 4 days. They may continually last for 7 to 10 days. After you are through with detoxifying your body, you will enter further treatment through rehabilitation. In this phase, you will come across others like you and get to share your stories. This is the point where you discover the reason for going into drug addiction. With the help of a therapist and several types of therapy, you will confront your issues. If it has something to do with the loss of a loved one, you will be counseled to accept their demise and how to move forward without drug dependency. Other causes could be rejection, failure or seeking acceptance among peers. In the recovery period, you are released back into the community to live your life as a new person. Here you must incorporate the lessons you learnt in order to avoid the triggers that could cause your relapse. If your addiction is not severe, you can acquire help through outpatient treatment. In this type of rehabilitation, you will attend counseling depending on the schedules set. It can be semiweekly, weekly or daily. The therapy sessions assist in dealing with the issues that encourage you to dive into drugs. Most of the times, your mode of thinking leads you into marijuana abuse and addiction. Since your thoughts control your behaviors, this therapy is meant to help you change how you think, thus acquire good habits that will help you overcome you addiction. The development of these goals, hobbies and interests will keep you happier, improve your productivity and therefore, you will hardly desire to be high on marijuana or any other psychoactive substance. Contingency management is an approach that focuses on keeping you sober through regular drug tests. If you stay sober for a specified period of time, you earn a reward. Therefore, with time, you start to understand the benefits of staying sober, thus can do it on your own without supervision. In conclusion, addiction to marijuana is a step in the wrong direction. It threatens the survival of any society since it is common among your people who are the future. The spread among the young generation suggests that most persons consume it due to peer pressure or personal issues like low self-esteem, being bullied and shyness. Its legalization makes it a bigger threat because despite that one needs a prescription to acquire it from the drug stores, it is still very accessible to the wrong persons. It is good that marijuana helps patients with chronic illnesses to deal with their daily challenges. However, the fact that it causes some short and long-term effects makes it more harmful than helpful to them. The legalization of marijuana is not likely to end or be reversed soon. So it is your responsibility to keep all its disadvantages and dangers in mind to save yourself.